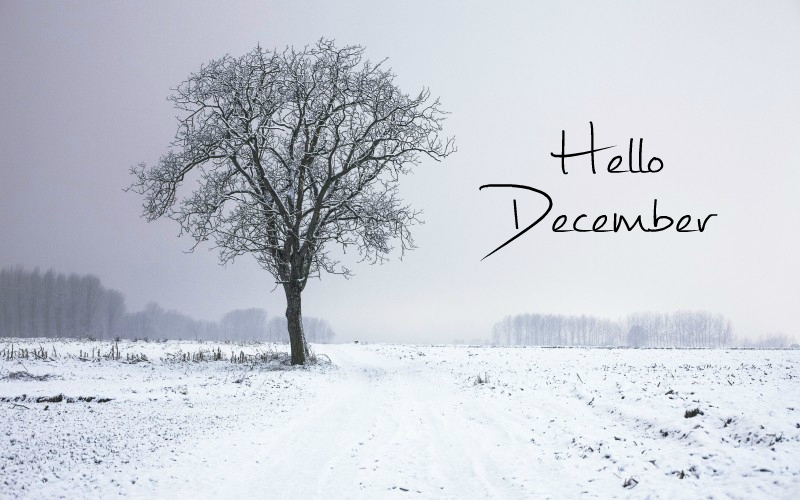 Hi For me December conjures the picture of cold but bright days, walks in the park. steaming hot bowls of home made veg soup, and hearing my neighbours’ young children getting more and more excited as Christmas approaches. Unfortunately it can be a very lonely and difficult time for many people, and i think the secret of Christmas is to remember happy times in the past, to make the most of the present, and readily accept whatever the future offers. It is also a great opportunity to get back in touch with people who for whatever, i haven’t been able to maintain contact with during the year. It is exciting to hear of news from friends from around the world, hearing how they plan to spend Xmas, and being reminded that whilst I look out of the window wondering if this year will be a white Xmas, my friends in Australia will be planning their Xmas day on the beach. For me December is a month of great contrasts reminding of those who have plenty and those who have very little, past blessings of Christmas shared with family and friends no longer with us, and the exciting prospect of all those people who will touch my life in the future who i have not yet met. Can’t wait! Hi Rob, I hope your Christmas was as wonderful as you described! Soup is definitely one of the best things about winter.